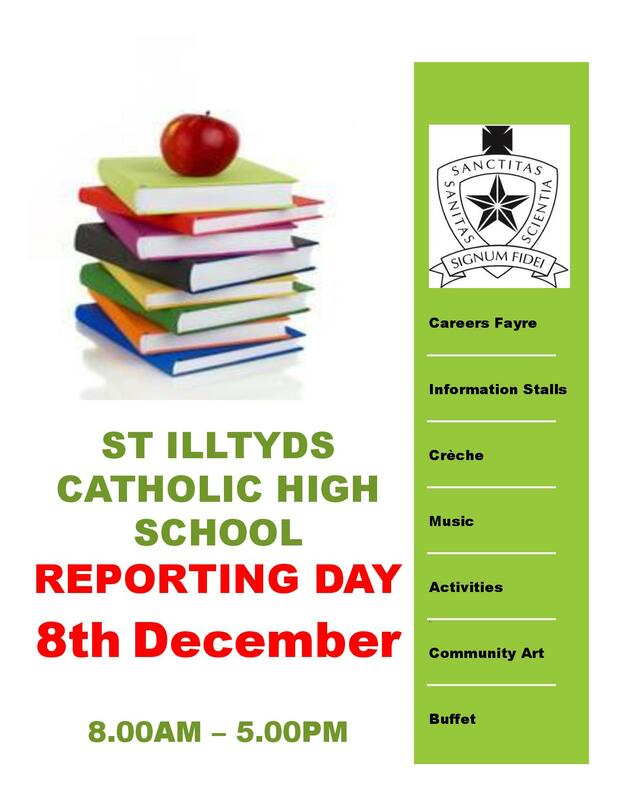 Our Reporting Day takes place on Friday 8th December. This will be an INSET day and school will be closed to all pupils. 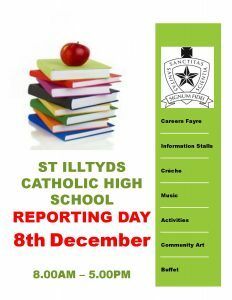 Aswell as the opportunity to speak to your child’s form tutor and to find out about your child’s progress at St Illtyd’s, we will be providing a variety of information and services on the day. We will have a large number of employers in our Careers Fayre as well as many community and well-being stalls. 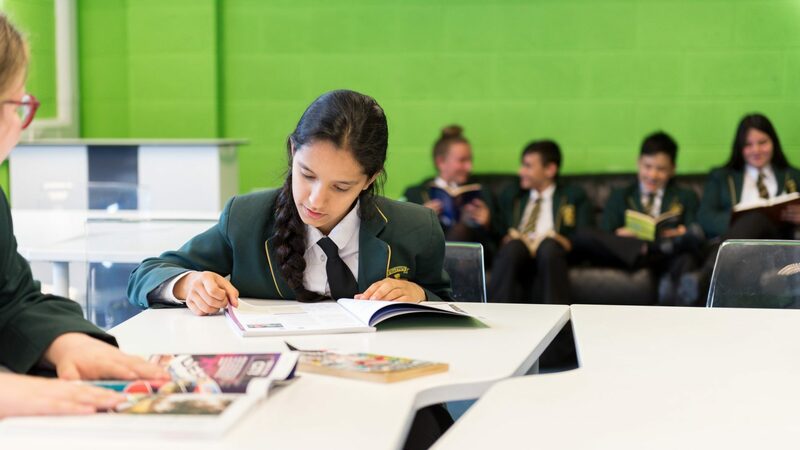 Alongside this, there will be performances from our talented school choir and soloists, sports activities, learning opportunites, our community art project and much more. A creche will be provided for our younger visitors and refreshments will be available throughout the day along with a buffet lunch. Please can you return your appointment confirmation slips as soon as you are able.